A perennial favourite, the personalised Christmas Jelly Beans Plastic Jar can be branded to match your corporate colours. How about jelly beans in a plastic jar for giveaways? Delicious looking jelly beans in Christmas colours of red and green in a plastic jar is perfect for party, corporate giveaways and trade shows this holiday season. The 170g customised Christmas Jelly Beans Plastic Jar comes light and ready to go in a 70mm(w) x 79mm(h) x 53mm(d) plastic jar container. A full colour sticker with print size of 60mm(w) x 40mm(h) on the body or 45mm on the lid of the plastic jar bearing your corporate colours will give a personalized touch to your giveaways. The lid comes in lively colours of white, blue, red, orange, green and pink. An all time favourite, our branded Christmas Jelly Beans Plastic Jar will surely delight your clients, not only for the yummy jelly beans but also for its charming packaging. The sweet colours of the jelly beans beaming through the plastic jar are a sure eye catcher. The jelly beans themselves are certainly as good as they look and guarantee to bring a smile with every bite. 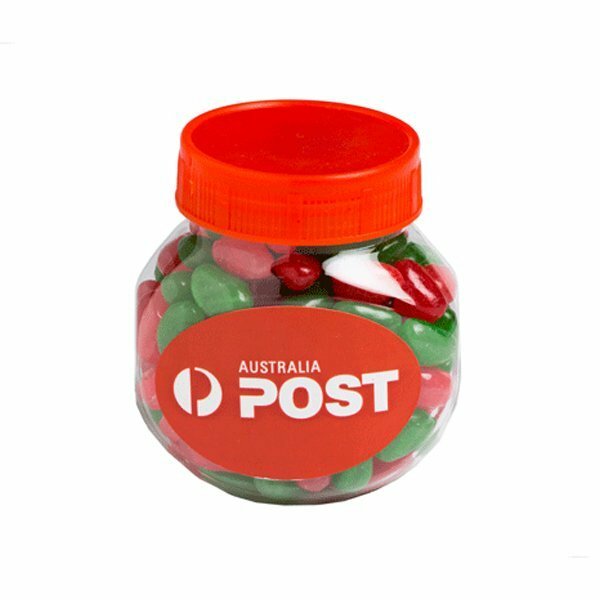 The customised Christmas Jelly Beans Plastic Jar will stand out in trade shows and they will be highly desirable for giveaways. Imprint your corporate brand in a sweet and delectable way through our promotional Christmas Jelly Beans Plastic Jar! 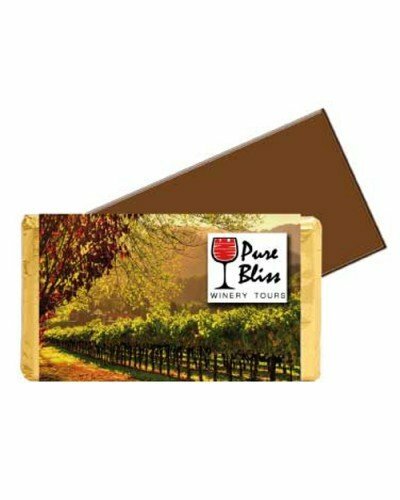 You may wish to consider other interesting options from our list of branded product lines. Check on our branded Christmas Chocolates Small Bucket which comes in a 100g 70mm(w) x 70mm(h) PVC bucket filled with mixed Christmas star bell chocolates and our custom Christmas Chocolate Eclairs Acrylic Canister which are a mixed chocolate eclairs delight in a 100g 75mm(w) x 78mm(h) acrylic canister. Both bucket and canister are with full colour stickers either on the body or the lid for corporate branding. Are you also looking to by printed balloons for your upcoming events. We know that lollies and balloons go hand in hand. If that’s the case then please check out our Fast Balloons website right after you’re done shopping our delicious lolly range. Our promotional teal blue balloons are super popular. In case you have any questions, do contact us through our hotline number, 1300 008 300. Or you can also get to us through our website via live chat.